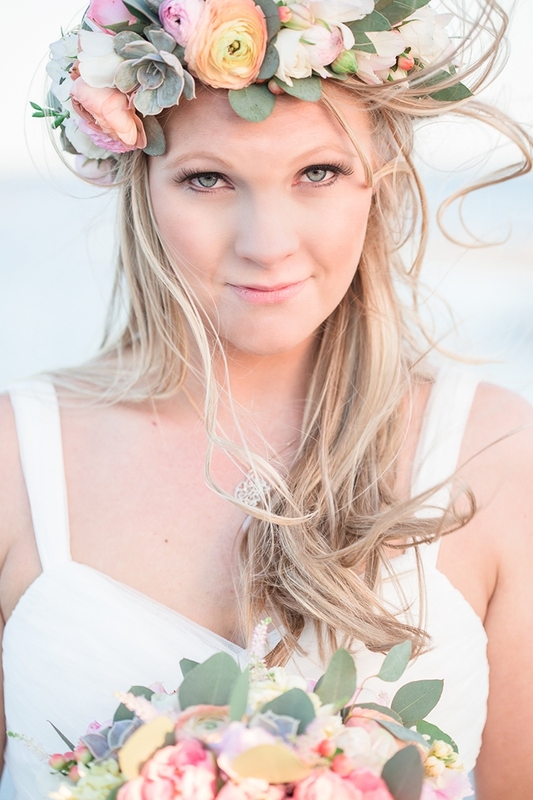 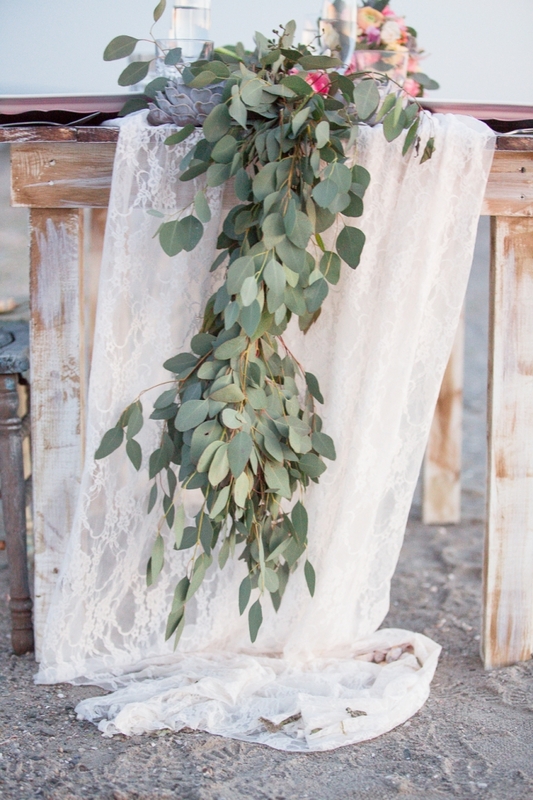 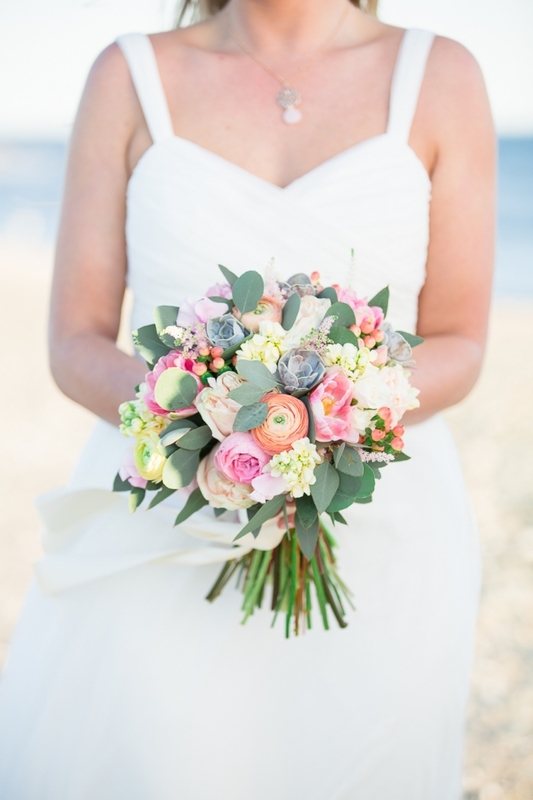 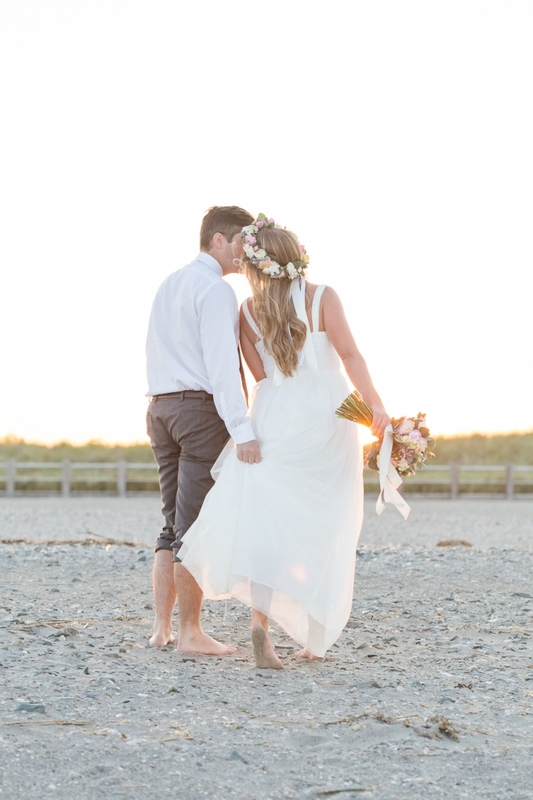 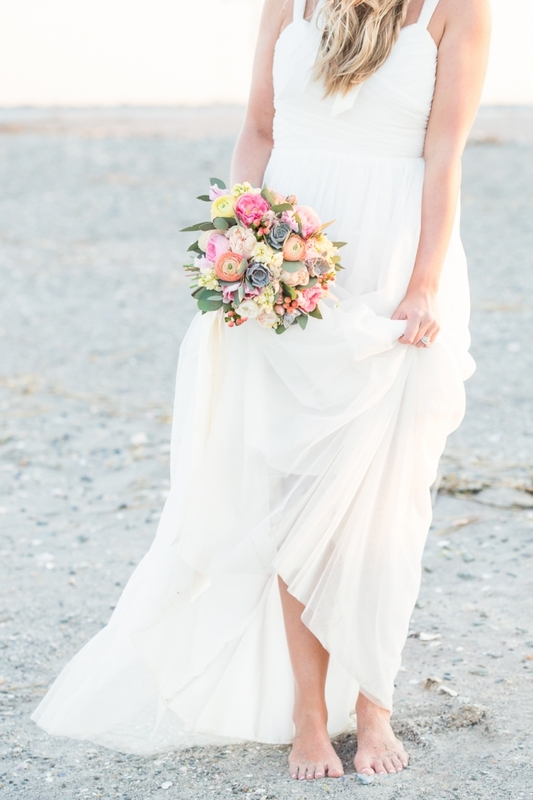 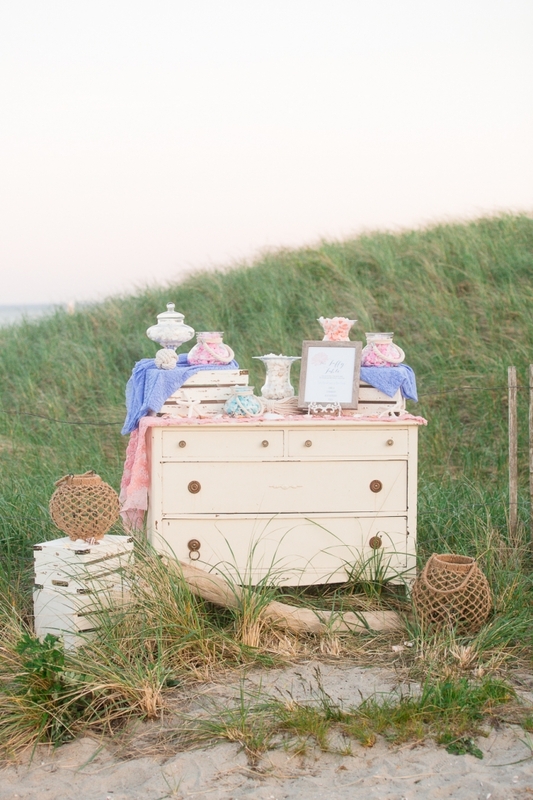 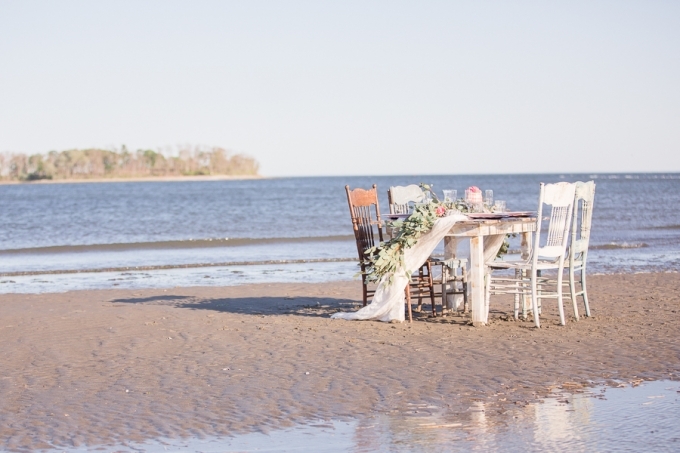 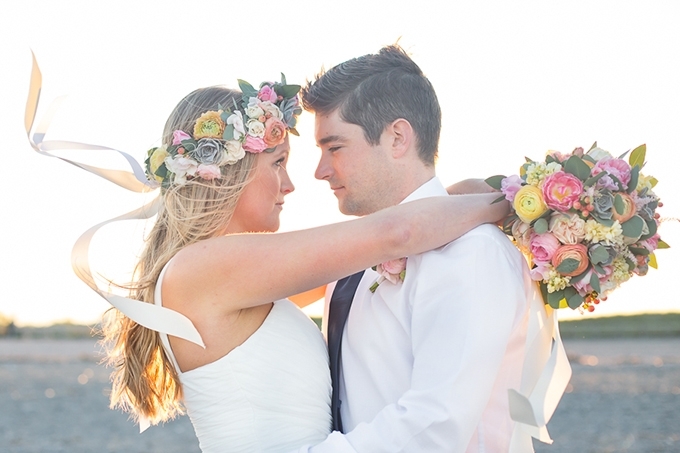 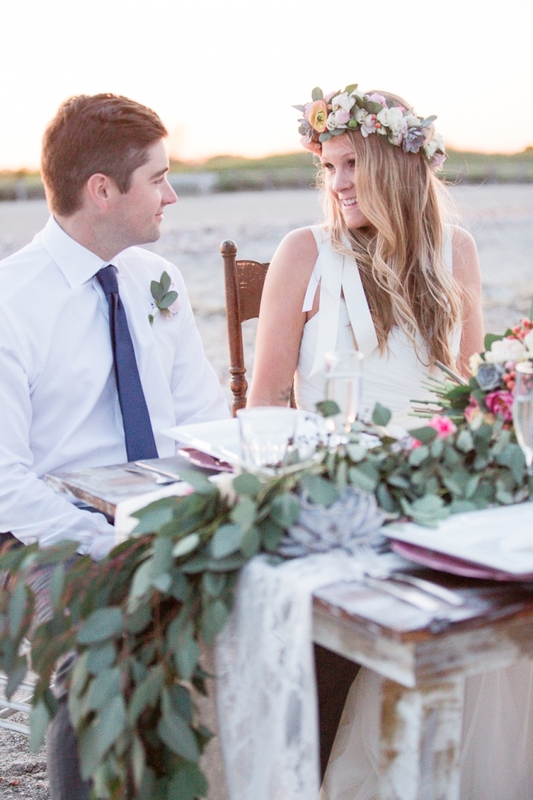 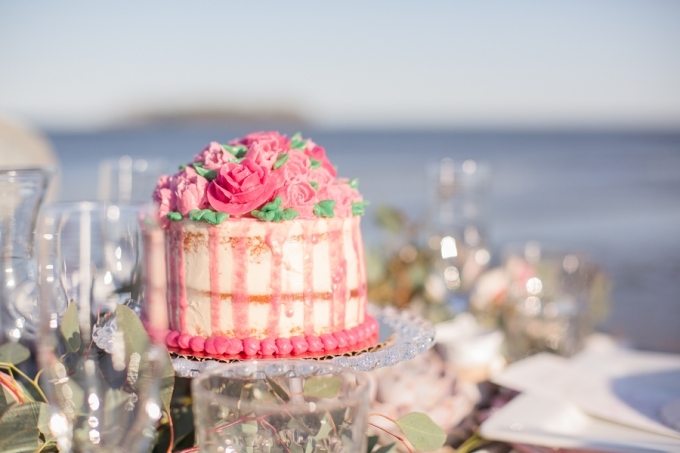 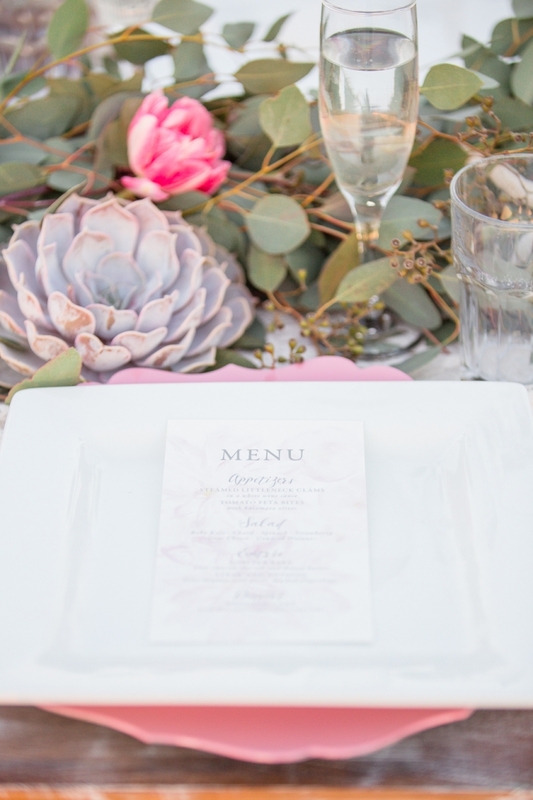 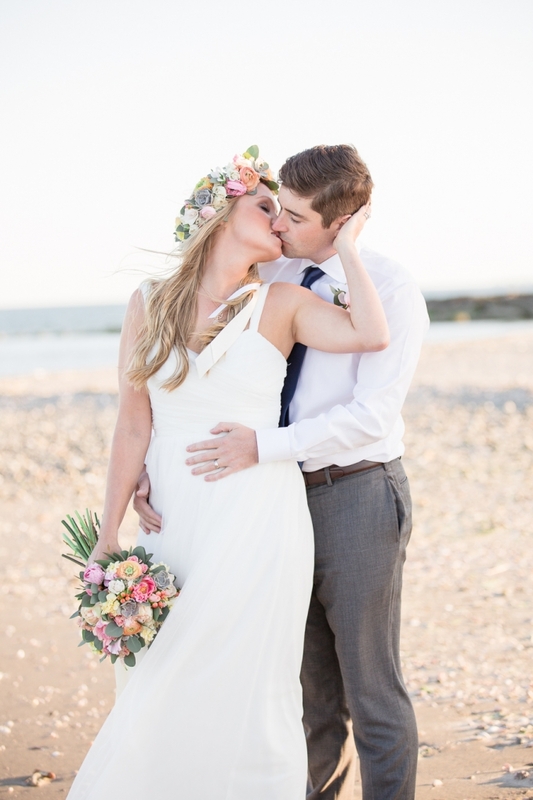 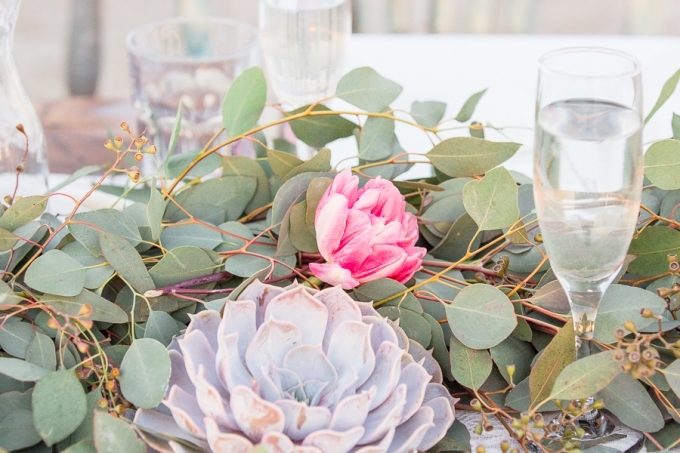 Inspired by this year’s Pantone colors, Rose Quartz and Serenity, Kristina Staal Photography & Shaina Lee Photography teamed up to captured this romantic beach wedding shoot. 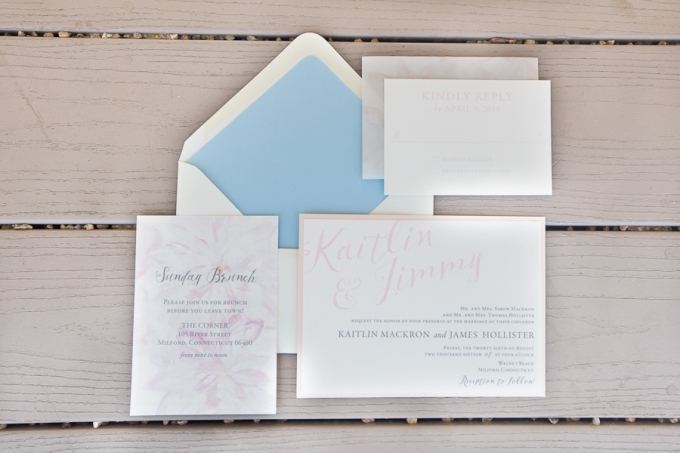 The soft color palette pairs perfectly with the pale blue ocean and the warm sunset. 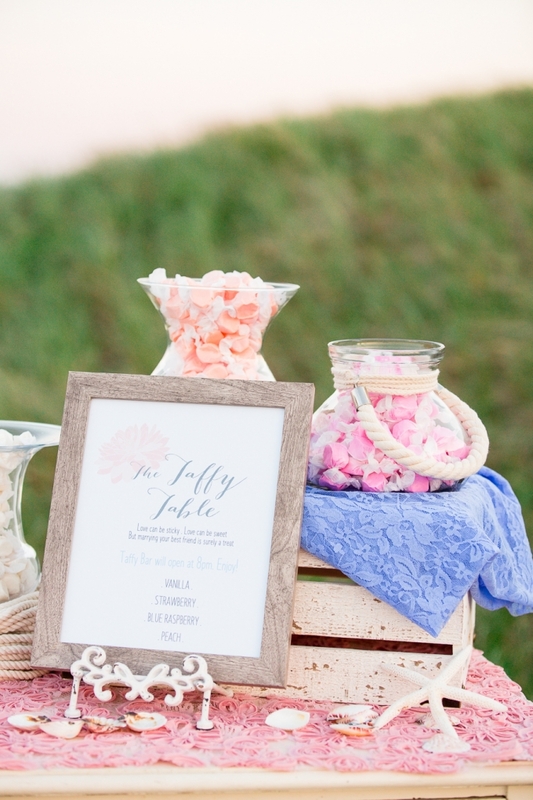 I love the cute ‘taffy table’! 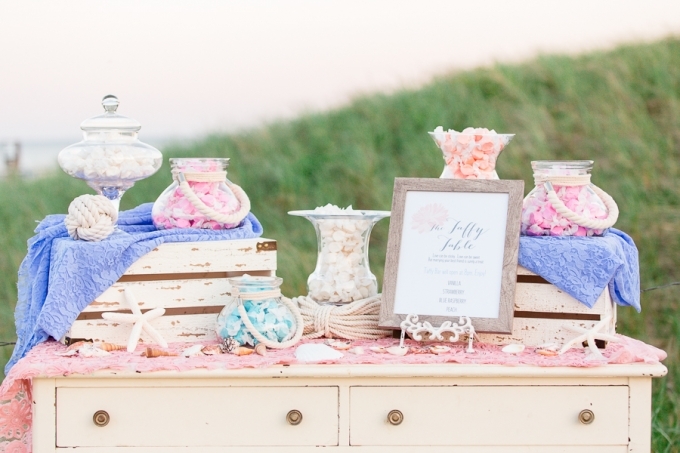 It’s a great favor idea, especially for a seaside wedding!